Also available as version 2 with low voltage socket. Vehicle camera cable, multi-way wiring design for vehicle verious of rearview camera system. Focusing cable production technology for ten years is the guarantee to make sure stable and clear video and audio signal transmission to statisfy 360 overview requirment. 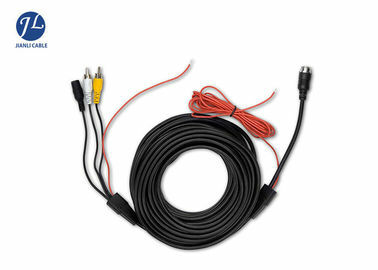 This cable is used for monitors of vehicle CCTV of commercial car, truck, trailer, RV, towing vehicle. It provide multiple adapter so that the monitor could be connected with power, cameras. 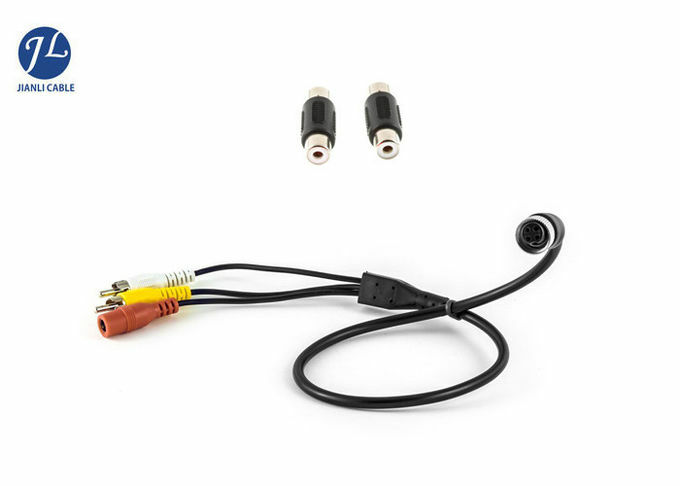 Here you can find the cable for your vehicle back up camera. 1. Accept ODM & OEM. We could produce the cable as you designed. 7- 15days after everything of your cable order is confirmed. We inspect every single commodity before shipment. If you got any problem of the cable,welcome to contact us. We also accept small quantity orders of cable to meet your diffirent business needs. 6. We offer more things not only this cable.